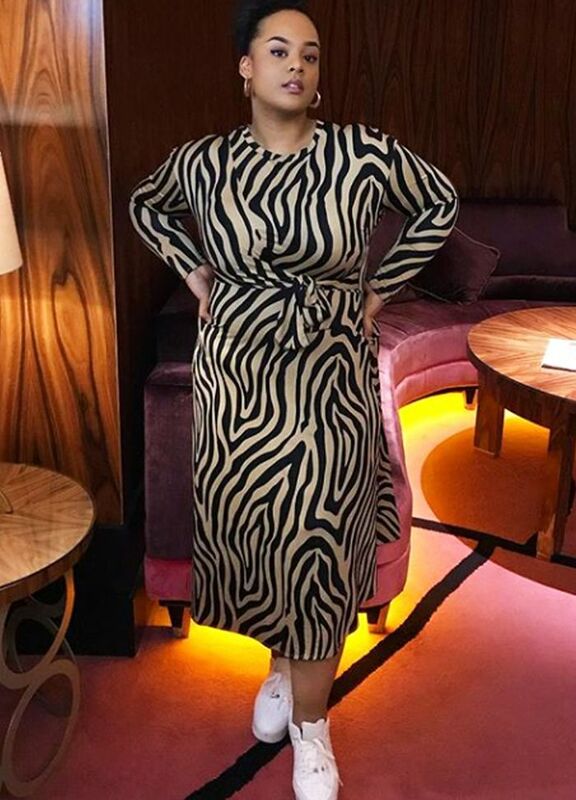 Just when we thought the animal-print trend couldn't get any bigger, zebra-print midis, minis, and maxis have become the most popular dresses on the high street right now. According to our friends at Google, there has been a 250% increase in Google searches for zebra print year over year. ASOS has thrown everything it has into zebra-print dresses, with styles in every fabric and colorway you could possibly hope for. This prompted a discussion on the differences between zebra and tiger print in the office this morning, with one of my colleagues saying, "No, no, no. You can't have a sand-colored zebra." But according to the likes of Topshop and ASOS, you can have a sandy zebra, as the classic monochrome print has been updated with flashes of pink and more neutral tones. Rixo's black-and-white printed button-front midi dress has been popular with the Instagram set, while ASOS's zebra sand-colored dress with two slits on the skirt has been particularly popular in the Who What Wear offices. Keep scrolling for ideas on how to wear zebra-print dresses for the beach, the office, dinner, and more. Then shop our edit of the best around right now. This post was originally published on Who What Wear UK.